Gregory A. Cohen, M.D. is a medical physician specializing in psychiatry and forensic psychiatry. He has a private practice in Pasadena, where he evaluates and treats all forms of psychiatric disorders. Expertise includes medical psychiatric / psychological evaluation, psychopharmacology, psychoanalysis, and other forms of psychotherapy. Dr. Cohen sub-specializes in the area of forensic psychiatry, as well as forensic psychology. He has extensive expertise in all areas of psychiatry-and-law. He has been consulted, or acted as an expert witness, in thousands of psychiatric-legal cases. Services have included courtroom testimony in hundreds of cases, report preparation, attorney consultation, workers compensation cases, depositions, and others. He has consulted in cases in Pasadena, Los Angeles, Orange County, San Bernardino County, Ventura County, Riverside County, San Diego County, and other areas of California. Dr. Cohen is accepting new cases and appointments. He is available for complementary introductory discussions regarding potential cases or consultation. Please feel free to contact Dr. Cohen by telephone or e-mail. Dr. Cohen has been an active member of the California Worker Compensation System for several years. He is certified by the state as a Qualified Medical Examiner (QME), and has conducted hundreds of QMEï¿½s and agreed evaluations. Evaluations are conducted in the Pasadena office as well as a new Rancho Cucamonga location. Reports are thorough, evidence based, non-biased and delivered to all parties in a timely fashion. Dr. Cohen is also available for educational presentations to attorneys, groups and firms, and others professionals regarding the myriad of issues related to the psychiatric aspects of workersï¿½ compensation cases. 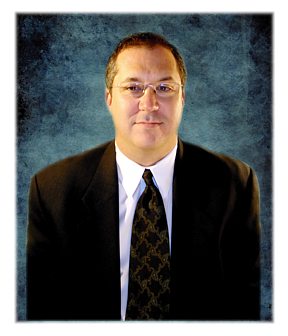 Dr. Cohen has acted as an expert witness in thousands of criminal law cases. He has provided psychiatric evaluation, courtroom testimony, written reports, psychological testing, and attorney consultation for a vast amount of issues. These have included evaluations for insanity, competency to stand trial, dangerousness, sexual offense, restoration of sanity, restoration of competency to stand trial, homicide and capital cases, substance abuse, criminal intent, mitigation, treatment and recommendations, dispositional recommendations, detection of malingering, and other areas. Dr. Cohen has participated in numerous civil law matters, and has provided services including psychiatric interviews, psychological testing, attorney consultation, written reports, courtroom testimony, and deposition testimony. Dr. Cohen has a vast and balanced experience in numerous civil law issues, and has been retained as an expert witness equally by defense and plaintiff attorneys. Dr. Cohen also has extensive experience in other areas of psychiatry-and-law. He has acted as a consultant and/or expert witness in probate and conservatorship law, mental health law, disability, fitness for duty, testamentary capacity, employment law, immigration law, juvenile law, personal injury, professional malpractice, Social Security Disability evaluations, and others. Invited lecturer in psychiatry, medicine, psychoanalysis, and/or forensic psychiatry at USC Medical School, UCLA Psychiatric Residency Program, Cedars Sinai Psychiatric Residency Program, and others. Dr. Cohen's contact information can be found below. Please feel free to leave a message and your number. Thank you. There are offices in Pasadena (primary and treatment office), Valencia, Rancho Cucamonga, and Whittier. All correspondences, medical records, and other documents should be sent to the primary office in Pasadena.